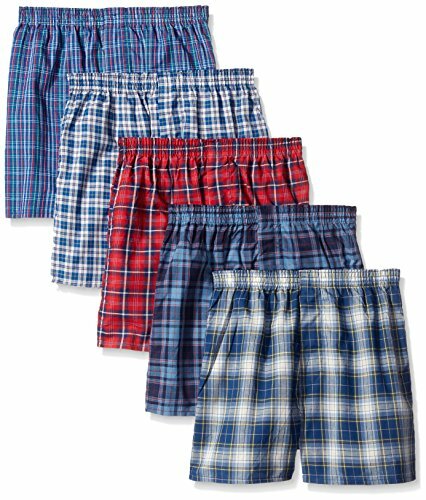 Fruit of the Loom Boys' Woven Plaid Boxers offer a relaxed fit for all day comfort. These boxers are designed to reduce bunching for a closer fit to the body. 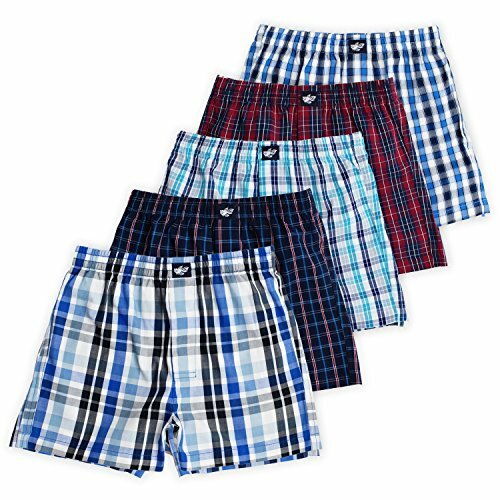 This boxer features a plush backed waistband that is comfortable against the skin and comes in a variety of tartan plaids that are traditional yet stylish. That combined with our tag free design will keep your boy in his comfort zone all day long. Fruit of the Loom Boys' Knit Boxers are tag free and designed to reduce bunching for a closer fit to the body. This knit boxer is made with soft jersey fabric for all day comfort and features a plush backed waistband that is comfortable against the skin. Our boxers also wick moisture to keep your boy cool and dry all day long. That combined with our tag free design will keep your boy in his comfort zone all day long. Made with super soft premium cotton, brand name classics is our most comfortable boxers. Classics also feature a premium waistband for plush, all-day comfort. 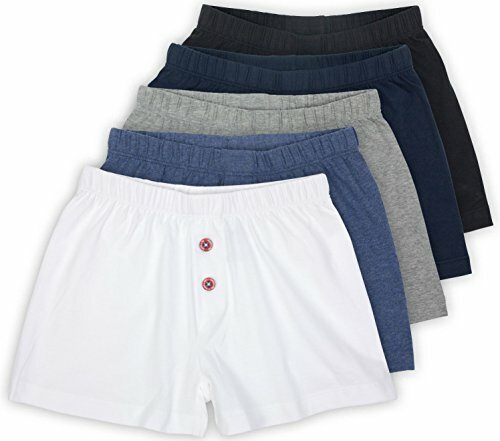 Pure cotton knit boxer with traditional fly front, guaranteed not to gap. Introducing our essential pack of comfy cotton boxers. 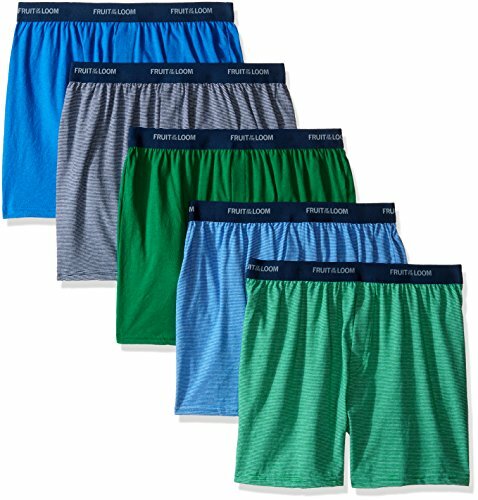 Made with 100% pure cotton, these boxers come in a pack of classic colors. Your little hero will love wearing these relaxed fit boxers everyday. If, for any reason, you are not fully satisfied, we will gladly accept for return or exchange unworn, unwashed garments with the original tags still attached within 30 days of purchase. Follow the instructions on the Return Form enclosed with your original package. Once your return is received, your refund will be processed within 7 business days. 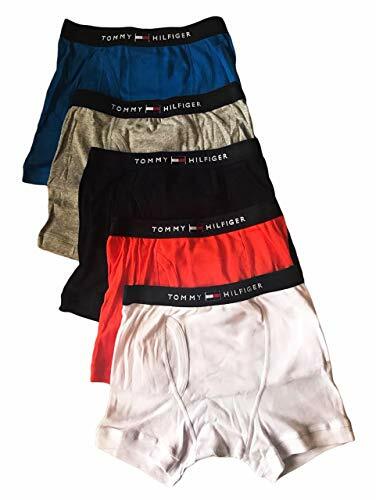 Super-soft cotton boys boxer briefs underwear 3-Pack with contrast stitch and comfortable fabric-enclosed elastic waistband. Top-quality, locally-knitted, American-made fabric washes well and is long-lasting. Why pay a little more for these underwear? Simple, because these are QUALITY items made with the highest-quality materials, highest-quality stitching, safe, comfortable, and made in the USA. Trust us, your child will LOVE them and we they will ask to wear them over and over again. They are perfect for sensitive skins because they contain no harsh chemicals, are made with 100% super-soft cotton, and the elastic band is fully enclosed. There is no substitute for giving your kids comfortable, safe, and good-quality clothes. It may even save you money because these items will last long and be worn a lot! SAFE - made with safe dyes and no harsh chemicals COMFORTABLE - 100% super-soft cotton perfect for sensitive skins. Elastic band fully enclosed with stitching on the outside DURABLE - no cheap materials in here! They are made to last because your kids will want to wear them over and over MADE IN THE USA - proudly keeping jobs local The celebrity baby boom has inspired modern moms to look for the hottest new trends in baby clothes, and you can't ask for better press than City Threads. When your name has been associated with the tiny tots of celebrities like Ashlee Simpson Wentz, Christina Aguilera, Liev Schrieber, Heidi Klum, Sandra Bullock, etc. the clothes are an easier sell. Add to the celebrity appeal the fact that the apparel is made in the U.S.A., and you've got a goldmine! Note: The striped versions are 75% cotton and 25% poly. This combination of materials gives them the unique striped look. COMFORTABLE - Perfect combination of comfort, breathability, flexibility, and a high-quality materials. DURABLE - will save you money in the long run because they will want to wear them over and over again. These will last without stretching or washing out. Boys always look good in plaid, now they can be really comfortable too. Cut generously for a roomier fit. From everyday wear to working out, ultra-soft, smooth exposed elastic Comfort Flex waistband won't pinch or bind. The Tony Hawk consumer today is ageless, understanding quality and tradition. This athletically inspired youth brand has come full circle transforming into a fashionable surf and street active brand. - Don't miss out! Tony Hawk. Anthony Frank Hawk (born May 12, 1968), commonly known by his nickname The Birdman, is an American professional skateboarder, actor and owner of skateboard company Birdhouse. Hawk is well known for completing the first documented 900. PERFORMANCE MATERIALS| Super Soft Polyester/Spandex Blend for Maximum Wearability and Cool Comfort. COOL COLORS| Comes With Black, Charcoal Heather, Navy, Turquoise, Black, Green Apple, Charcoal and Orange Heather for Great Variety! Getting dressed will be smooth sailing for your little one when you can rely on the relaxed fit of our Ryan Woven Boxers. Crafted in super breathable 100% combed cotton, this style is made for easy, breezy wear. The waistband is encased in the same fabric for added comfort. Front, back, and side seams are double reinforced for rough-and-tumble durability that can keep up with even the most active boys. 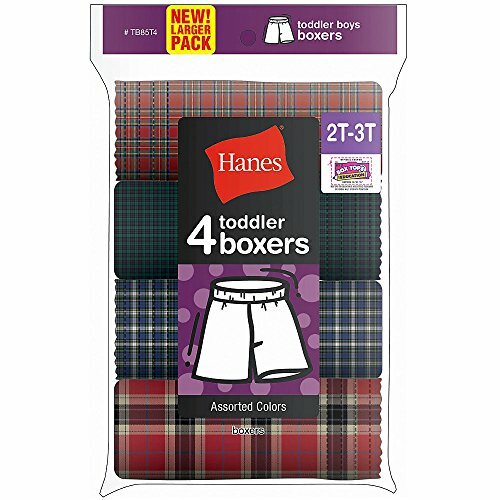 Pick up this vibrant colors boxers briefs for your little boy and watch his eyes light up. 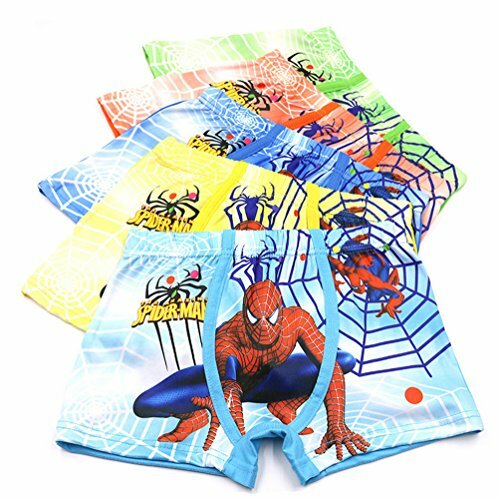 Featuring comfort soft fabric, these character spiderman boxers underwear provide a cozy and comfortable fit. Your baby boy will feel so comfortable throughout the day with any outfit. They're ideal for little ones who are potty training. They have an elastic waistband and leg holes so that the fit is snug and they have the ability to move and stretch with your toddlers.They come in assorted 5 colors. 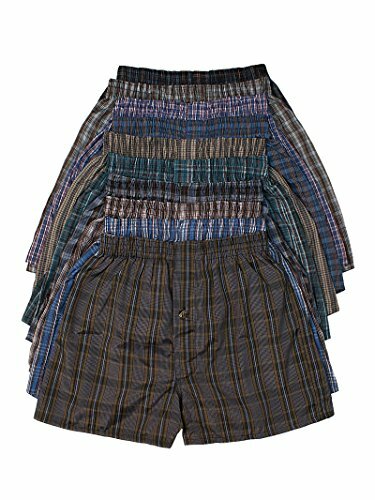 Your child will be thrilled to wear these colorful and cool woven boxer shorts. The soft embroidered elastic waistband is not only designed to stay in place, but is also gentle on the skin. Machine wash warm with like colors. Only non-chlorine bleach when needed. Tumble dry low. Cool iron if needed. NOTICE: You will receive 6 boy boxers from and similar to the collection shown. There may be Duplicates. Smooth GOTS certified jersey fabric, 160 gsm. Super soft garden boxer shorts with smooth elastic inside the waist. Smooth GOTS certified jersey fabric, 160 gsm. Machine wash at 40 C inside out, do not tumble dry.